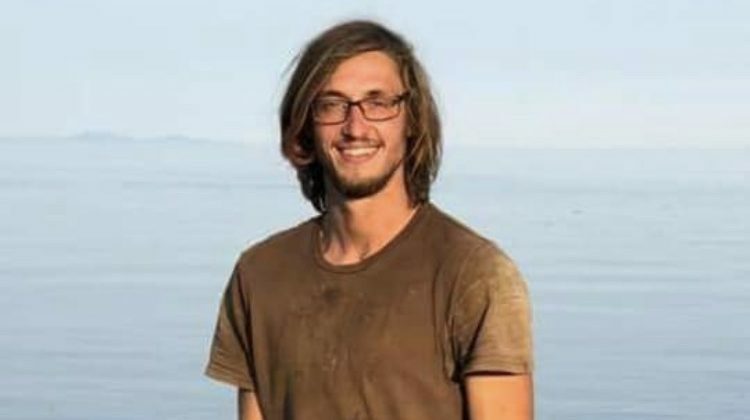 COURTENAY, B.C- The friends of a Comox Valley man who is believed to have gone missing are asking for help in finding him tonight. 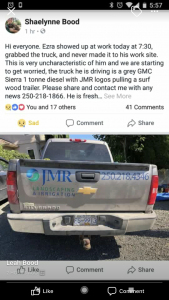 The man is 22 year old Ezra Bukach, an employee of JMR Landscaping in Courtenay. According to Leah Bood, the aunt to Ezra’s girlfriend, he showed up to work in the morning around 7:30 a.m. today, taking a work truck out to a work site in Royston. 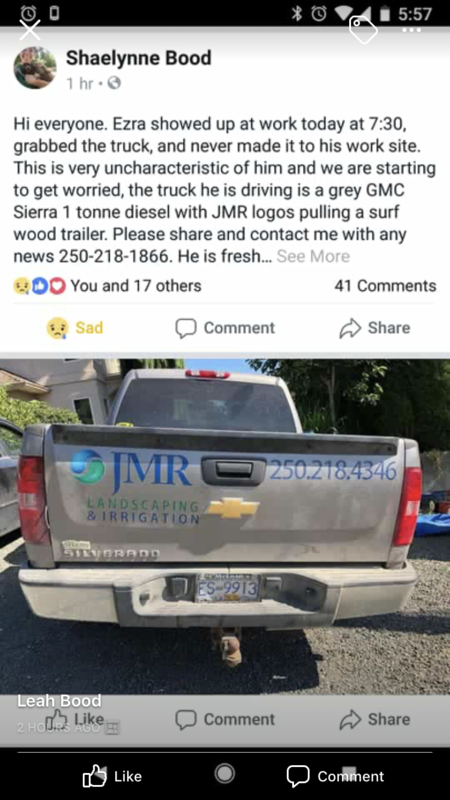 The truck was a grey one tonne GMC Sierra with company logos, towing a surf wood landscaping trailer. A photo of the truck used this morning. Bood said that Ezra never showed up to the work site. There has been no contact from him since 7:33 a.m., when his last text message was sent, along with no activity on social media or any emails sent. Bood indicated that the RCMP are following up on the matter, and a request for comment has been sent to the detachment. Ezra has been described as freshly shaven, and not wearing glasses. Anyone who has any information should contact the police, or call Shaelynne Bood at 250-218-1866. 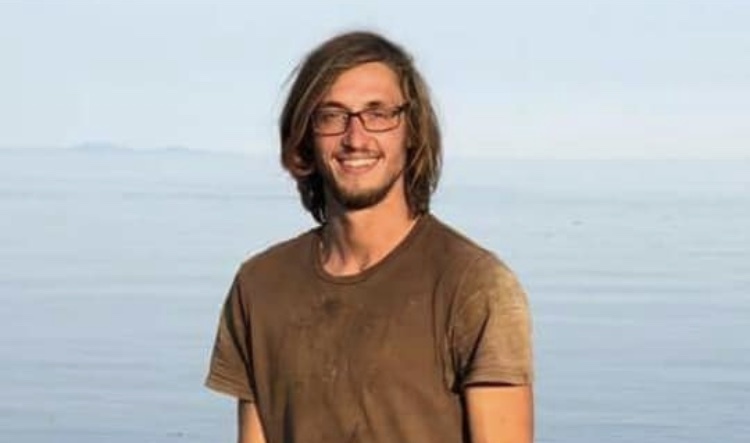 IMAGE CAPTION: A photo of 22 year old Ezra Bukach, sourced from Facebook.